Mitch Petersen is from a Colorado pioneer family, the Hotchkiss’s, that settled and ranched on the western slope since the 1860s. Mitch has ten years of real estate experience in recreational/residential land purchases, rural residential homes focused on hunting, fishing, and recreation. This compliments his background and education in rangeland ecology and hydrology habitat management. All of this coincides with his passion for hunting and the outdoors. 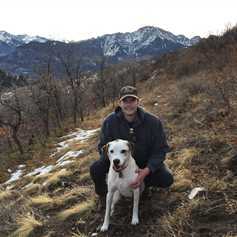 An avid hunter, Mitch has an understanding of unique habitat types and the management of game in the state of Colorado. Some of his past experiences include predator management, riparian/watershed management, and invasive vegetative species management. Mitch’s clients have found this knowledge useful and beneficial in the process of selling or purchasing land in the past. Mitch aids in due diligence and understanding past uses of land and impacts to buyers (existing conditions, potentially hazardous chemicals, petrochemical leaching, pesticides) prior to purchase and aids his clients in making the right decisions at the right time, mitigating losses, time and money. Mitch, paired with his extensive Colorado network of brokers, lenders and guided by his passion and experience, is a powerful ally in the purchasing and selling process for any land or hunting properties.